After a decade of massive funding reductions, London borough budgets are on the brink of crisis. By 2020 councils in London will already have absorbed a reduction in core funding of 63 per cent (over £4 billion) in real terms since 2010. Read about the decade of austerity. London boroughs have taken more than their fair share of austerity, experiencing a 63 per cent reduction to core funding from government during this decade. At the same time, London’s population has grown at more than double the rate of that of the rest of the country, resulting in 900,000 more people in the capital accessing services. Expenditure on central government services increased by 5 per cent over the same period. Discover more about this rising demand. London Councils is urging central government to use the next Spending Review as an opportunity to work with local council leaders to put local government funding on a long-term sustainable footing, ensuring councils have the powers, resources and freedoms needed to continue empowering their communities and shaping local areas. Find out about future financial challenges. Finally, read our key asks and find out what you can do. 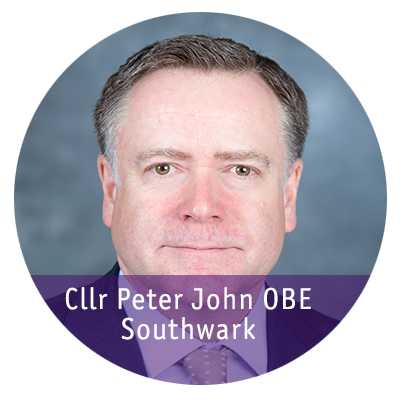 “London Councils is determined to play a prominent role in local government’s work to secure a long-term funding settlement for the sector. Local government needs to speak with one voice to call for a bigger funding “cake” in the next Spending Review. “The launch of our new funding campaign will also highlight the specific funding challenges facing London and why these need to be urgently addressed in order to safeguard both the interests of Londoners and London’s contribution to the rest of the country. “Investment in preventative work by councils represents a better use of public money overall than paying for costly failure. Central government must recognise this.